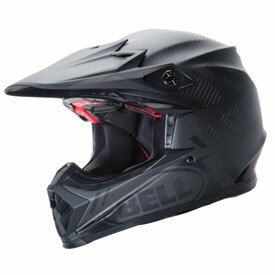 The Moto-9 Carbon Flex Helmet is Bell’s top of the line off-road helmet, representing the best Bell has to offer in comfort and performance while also incorporating injury prevention technology that’s on the leading edge. This safety tech comes by way of their progressive 3 layer EPS system. I've used BELL helmets for years. Helmet technology has advanced very quickly since I first started riding and BELL seems to continue to be up front in the development of better helmets. The SNELL rating means something to me and that was a factor in my decision to buy this helmet. I was a bit nervous about all of the sizing comments but ordered a Medium as my head measurement suggested. It fits perfect, nice and snug just as I would expect. The cheek pads are not overly tight as I've read in some reviews. I am very pleased with the quality of this product and will use it for both Dirt and Adventure / street riding. I have the Caselli model of this helmet. I took a pretty good digger at Glen Helen landed on the back of my head. Rung my bell (pun intended) real good but no concussion. The helmet did its job and IMO with any lesser quality helmet I would have TKO’d myself. 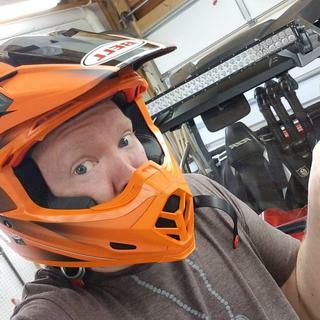 I also use this helmet for my dual sport riding and the ventilation is outstanding when getting into the slow and gnarly terrain. To be completely honest the ventilation is too good when it is really cold and at higher speeds when DS’ing. To combat that I wear a Lycra head wrap and that solves the cold issue. Overall a great and quality piece of work and I’ll be getting another to replace the one. Great helmet. Nice and tight, but not overly aggressive. Color scheme gnarly, which is a plus. Most importantly to me is the fact it is both DOT and SNELL approved, as I've had skull surgery and gotta keep my melon protected. Rocky Mountain ATV was a great resource in finding the right choice for me, and I couldn't be happier with the purchase. Bought this helmet and it fit pretty small, so I exchanged it for the next size up and still did not fit. Did not end up buying a bell. My past 3 helmets have been 6d, so wanted to try something different. Definitely fits different than 6d, more snug throughout and just feels smaller on my head. Took a few rides to break it in but now I absolutely love it. Definitely prefer the Bell over the atr-1. And I love the magnetic cheek pads. Amazing helmet, safety is key and the the goggles guides on the sides of the helmet is awesome! After my son had a crash with a different brand helmet which was brand new, he ended up with being knocked out, the helmet did its job but it wasn’t an expensive helmet, I felt there wasn’t enough protection. 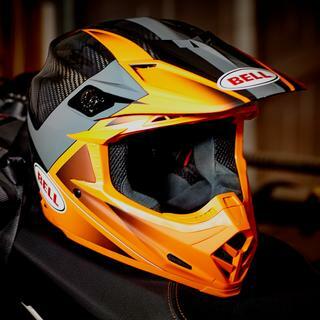 I reviewed all the helmets out there and Bell moto 9 in my opinion is one of the safest helmets available. Expensive but the helmet and the technology is second to none. Extremely pleased with this helmet. How much is your son or daughters safety worth? Bell moto 9 is the answer! Comfortable, tough and looks great! This helmet is bada-- , love carbon fiber look with orange, really pops . The new look soots me great. The fit is extroitnary . Will be put through a lot. Thanks bell. Ordered the moto-9 flex when it went on sale and ordered it in a medium. I have never had any issues fitting into any medium and what was funny about this was that I tried a medium moto-9 flex on in a local shop and it fit great, they just didn't have a color I liked. Ordered on through here and it fit great around the head it was just extremely tight around the cheeks. Tried wearing it hoping the cheek pads would break in and I was chomping on my cheeks the whole ride. I went ahead and ordered some thinner cheek inserts, so I'm hoping that corrects the problem, but Bell.....if you're listening, maybe slide those cheek pad sizes down a size in each helmet so that they're a little thinner in each size. After some research, it turns out, it's a pretty common issue for people with this bucket. Aside from all that, the helmet is great. A bit of the red from the EPS liner has rubbed off after one use, but that's not a big deal. Great helmet, bought wrong size but rocky mountain took care of everything. Great helmet, Great service..
where is the moto 9 flex built? BEST ANSWER: The Bell Moto-9 Flex does not have MIPS. Flex manages rotation energy like MIPS in addition to managing low and medium speed impacts better with the layers of EPP and EPO. Flex is Bell's best technology. i was wondering what the difference is between Bell Flex and the MIPS system, and which is the most recent technology ? BEST ANSWER: The Moto-9 Flex features Bell's Flex liner in place of of a more traditional multi-density EPS. The Flex liner uses three layers of different materials to manage Low, Mid and High speed impacts. 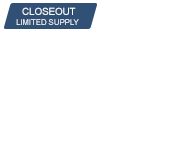 EPO (expanded polyolefin) is the softest of the three and helps manage the low-speed impacts. EPP (expanded polypropylene) is denser and helps manage the mid-speed impacts with the EPO. For high-speed impacts the EPS (expanded polystyrene) along with the EPP and EPO all work together to help manage the energy. Each material is its own separate piece that's nested together creates an adaptive fit that conforms to a rider's head for a better fit and more predictable energy management. A "slip zone" within the impact liner allows for subtle movement between the inner layers and works to reduce rotational energy transfer from angular impacts. The segmented Flex liner also allows for much more airflow/ventilation as well. MIPS is a slip plane technology inside the helmet between the multi-density EPS and the comfort liner designed to reduce rotational force during certain impacts by allowing movement in all directions. Flex addresses rotational energy as well. MIPS technology has been around for longer than Flex.